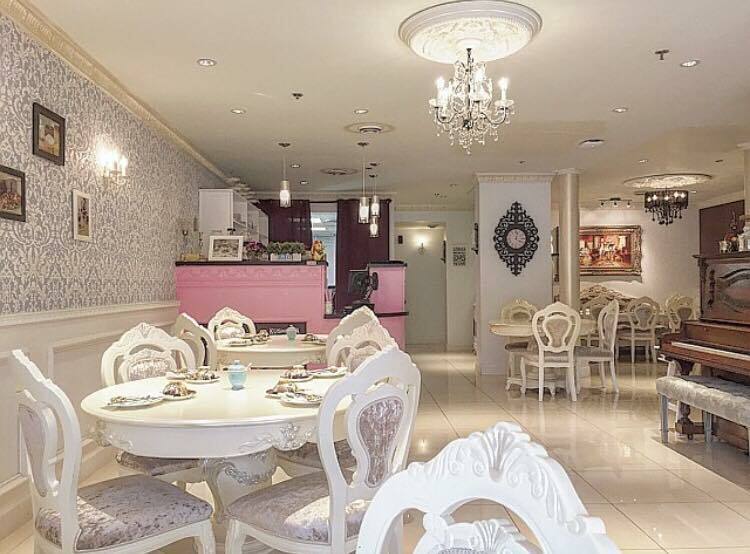 Audrey’s Moment Afternoon Tea & Café located at 120b - 6540 Burlington Ave, Burnaby, is a brand new dessert and afternoon tea place in town. 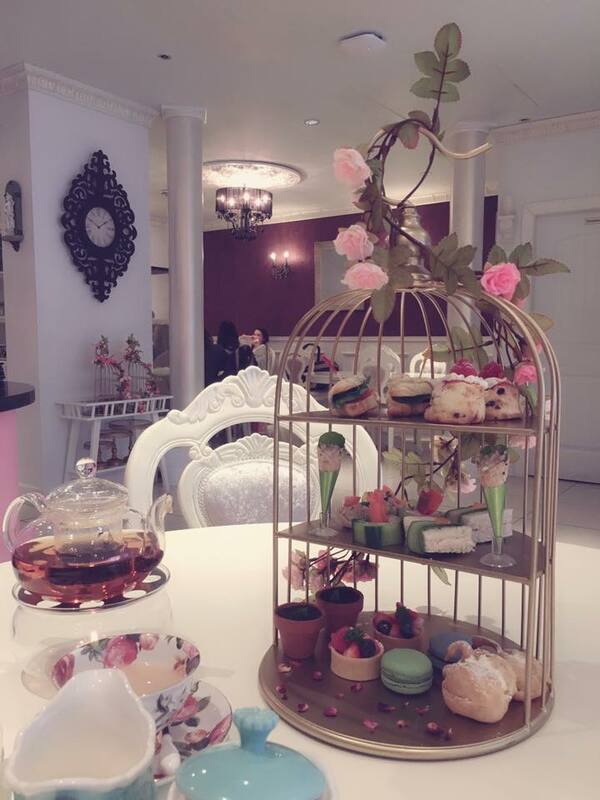 I was first attracted by its featured birdcage afternoon tea set and the sweet and cozy internal design. 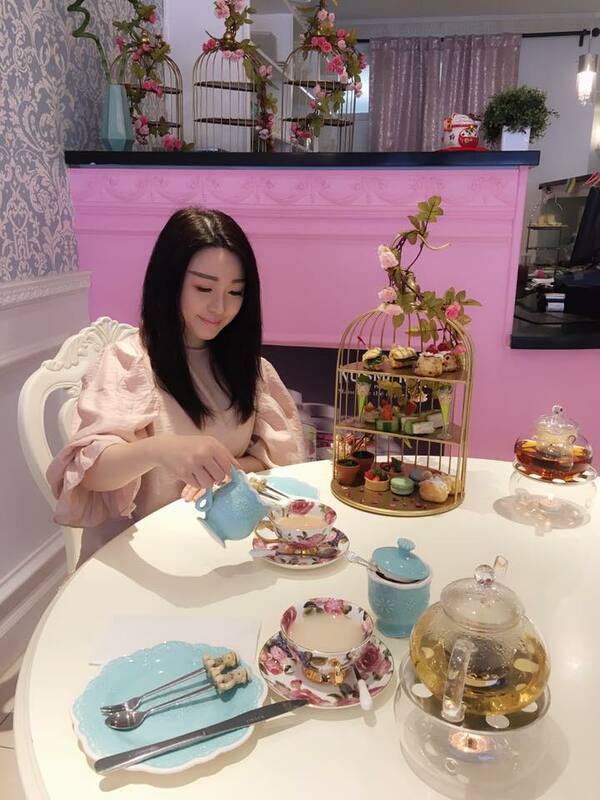 Then I figured the price is quite reasonable compared to those from Richmond. 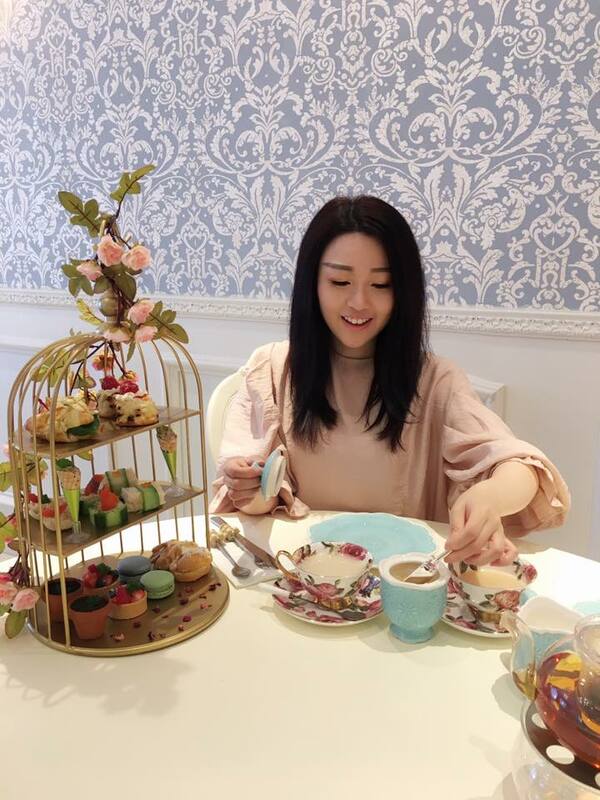 Originally we wanted to visit one in Richmond but the reason that we made a final decision to Audrey Moment instead was due to the decoration of its tea set. 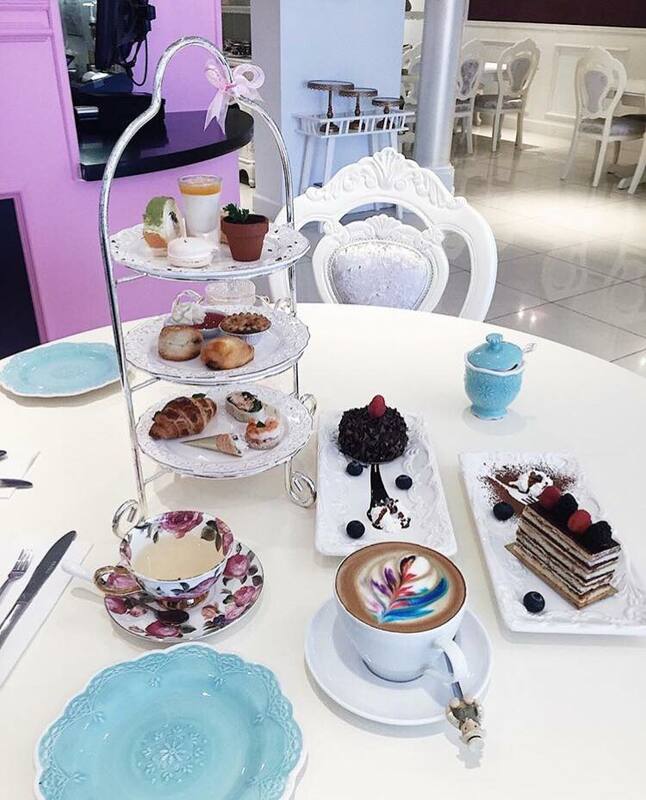 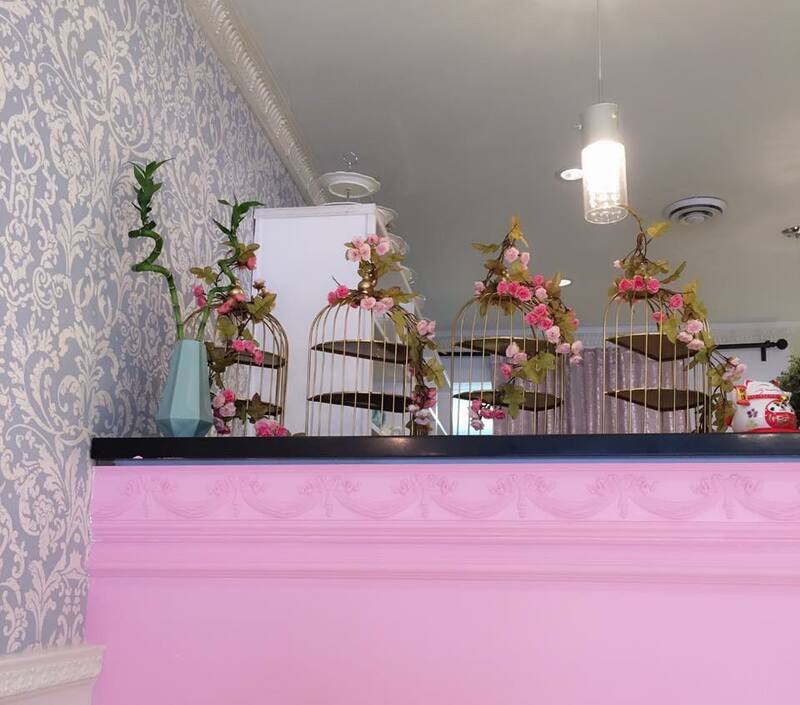 I love the half birdcage set up and the baby blue and pink wall of the salon reminded me of Alice In The Wonderland. 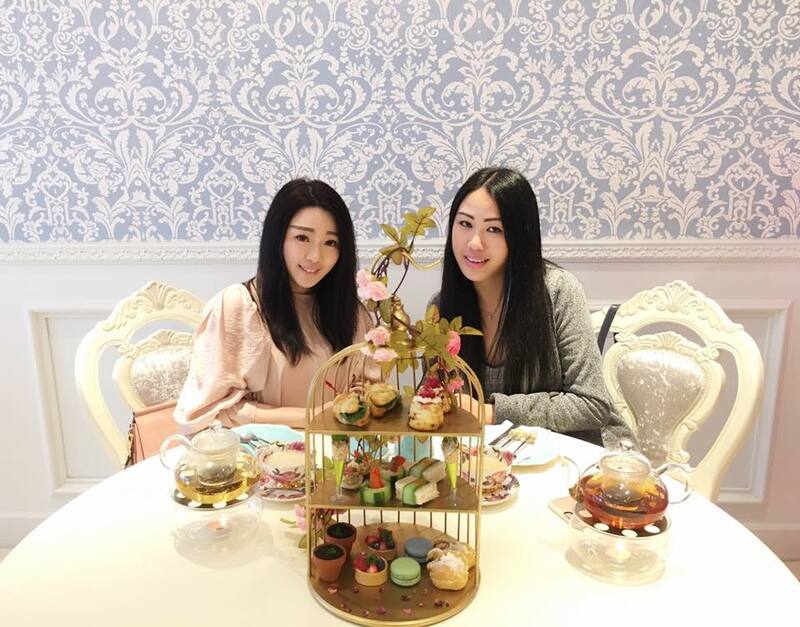 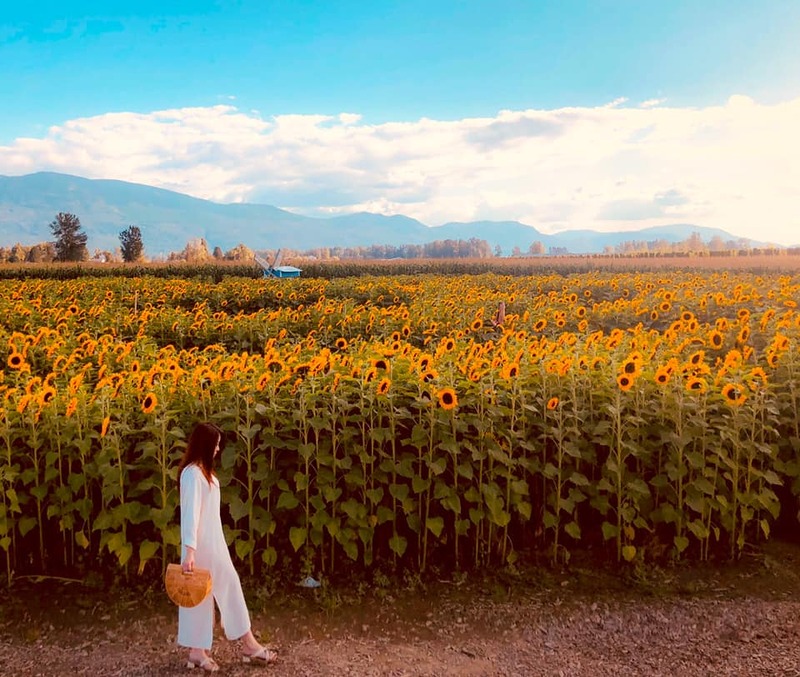 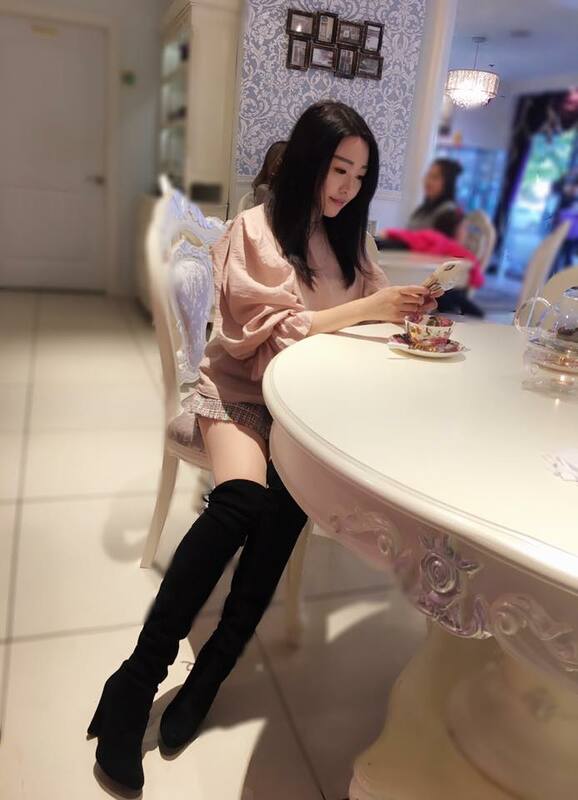 There are Four types of afternoon tea to choose from: The Rose Memories Afternoon Tea, Classical English Afternoon Tea, Delectable Savories Tea and Signature Sweet Tea. 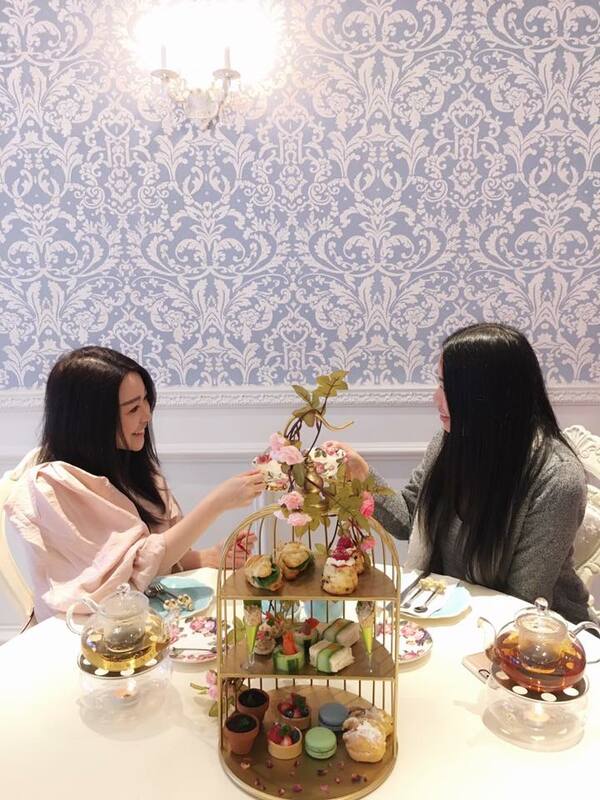 Since we are aiming for the beautiful birdcage afternoon tea setting we chose the Rose Memories Afternoon Tea. 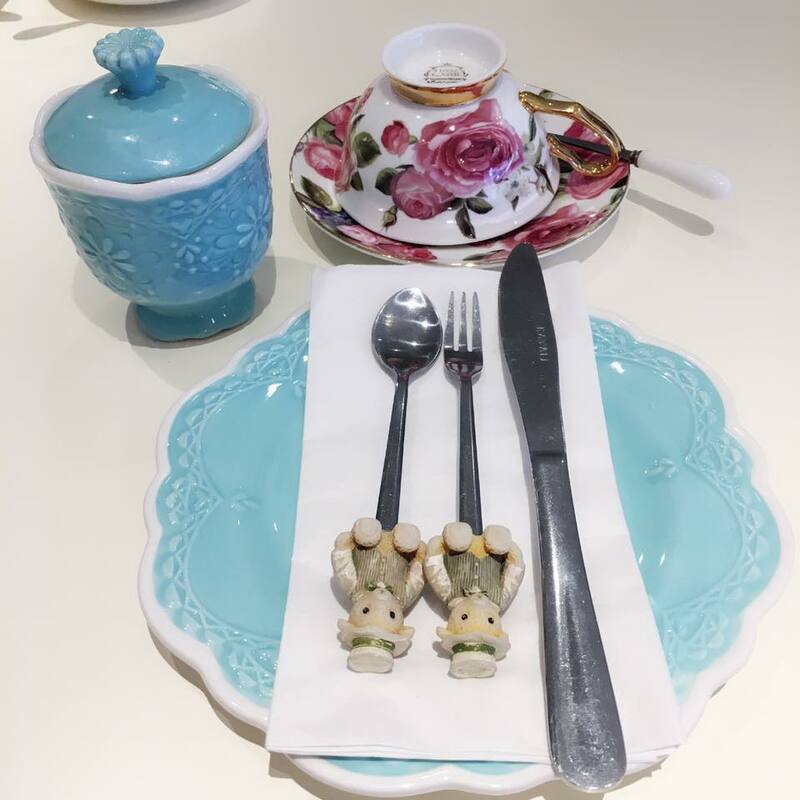 This tea set is CAD$35 per person and needs to be pre-ordered one day in advance. 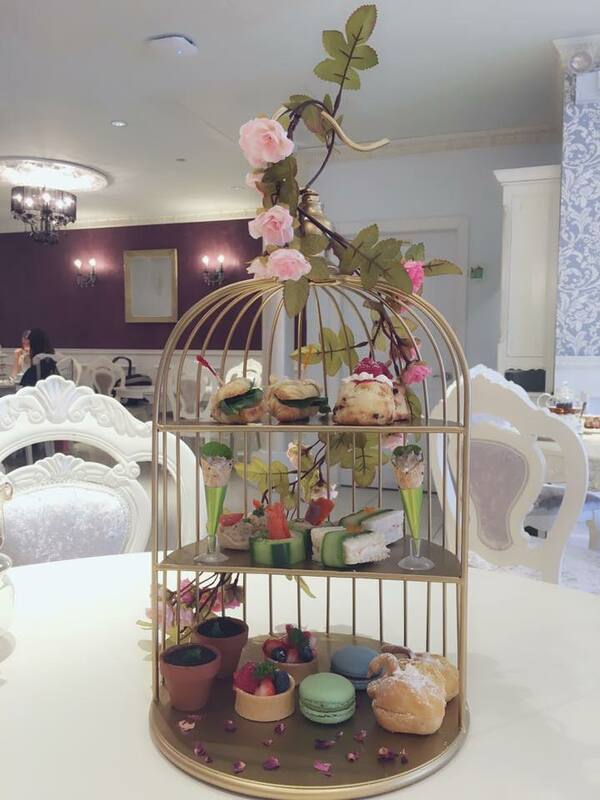 Both the sweet and savory treats were tasty and the full afternoon tea set wasn’t too pricy with that price range. 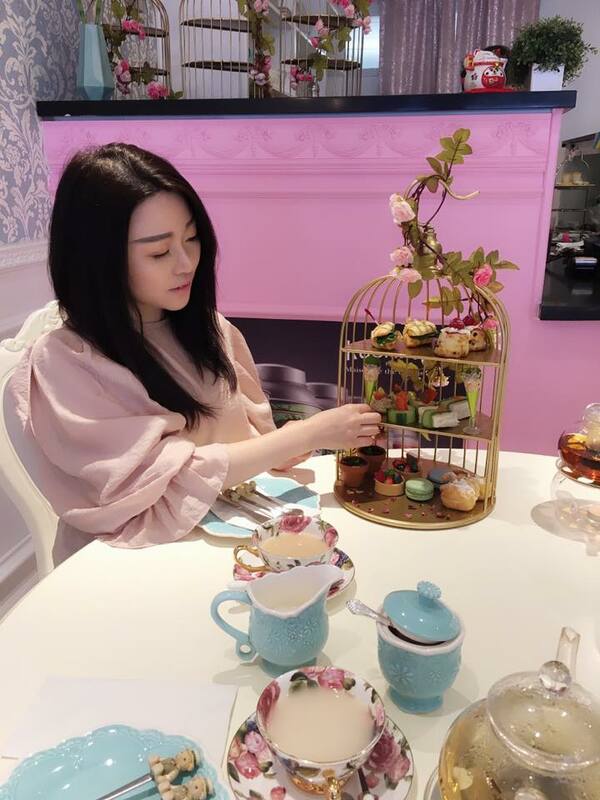 My only suggestion is that two or three of the signature treats could be made in a slightly larger size to make the package more fulfilling and money worth.